Despite bad weather taking things off course, the magic of quaint Nordic towns and good company still made cruising on the Silver Spirit a trip to remember. On Silversea’s Silver Spirit we all had a personal butler, seven fine restaurants to choose from, and a full daily programme of activities and entertainment. 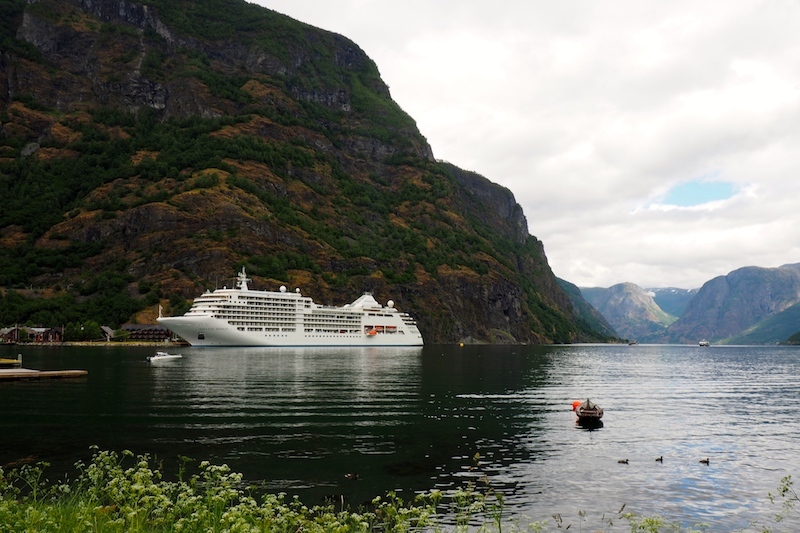 Everything Silversea could control was designed to make this 15-day cruise from Copenhagen up the Norwegian coast and back again as pleasurable as possible. Everything started sunny in Denmark’s charming and picturesque little capital. 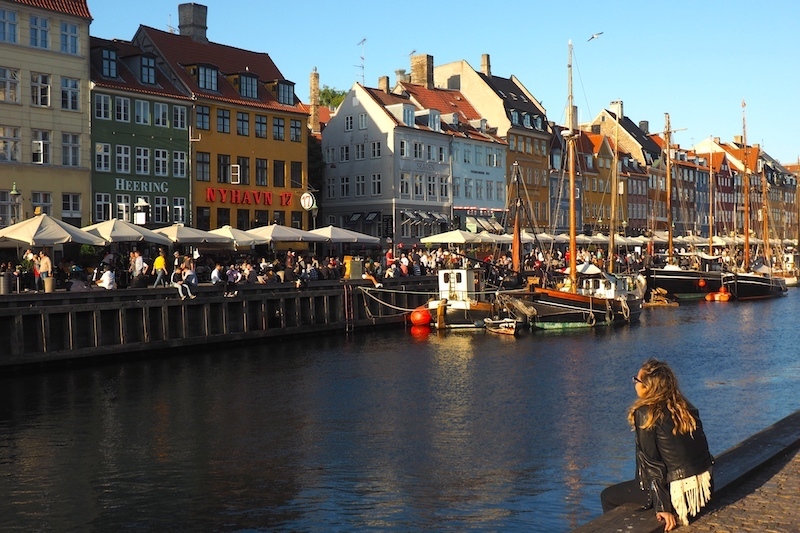 Dotted with spires and turrets, cut through by canals and threaded with inviting cobbled streets lined with colourful houses, Copenhagen is purely a delight to explore on foot or by tour boat. Gliding along the waterways, we passed impressive buildings, both ancient and modern, and travelled under bridges and out into the harbour. We paid a visit to the Little Mermaid, perched on her rock just offshore, and not far from where our home for the next two weeks was moored. Nyhavn is a postcard microcosm of Copenhagen. Although the Silver Spirit is now one of Silversea’s biggest ships having recently been lengthened in an innovative procedure that added 14 metres and 35 suites, it’s still small in comparison with most cruise liners. The maximum number of guests is just 608 which leads to a more intimate feel, and with 412 crew members, it’s ensured that no need – or even whim – goes unmet. Ushered to our elegant and roomy veranda suite by our butler Antonio, it seemed highly unlikely that anything we wanted wasn’t already supplied, from the champagne waiting for us in an ice bucket to the Bulgari toiletries in the marble bathroom. From the pillow menu to the padded satin coathangers in the walk-in wardrobe, everything had been thought of. 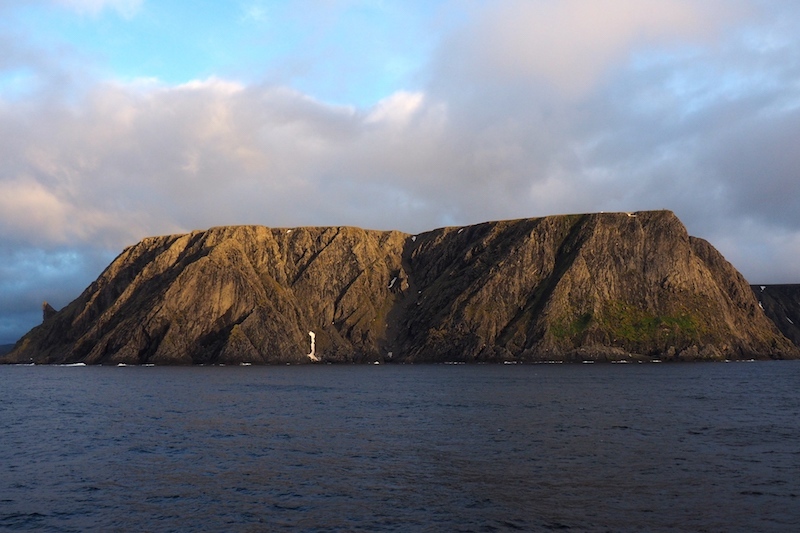 And so, on a beautiful evening with the city glowing in the light of a long northern dusk, we sailed away, heading for North Cape – the European mainland’s northernmost point. It’s a long way – 1,800km as the puffin flies, much further by ship – so our first day was spent at sea, getting to know the ship, its crew, and each other. The Silver Spirit is a beauty of luxury. We were a diverse group of all ages, and backgrounds, many of us retirees, but a good sprinkling of younger people too. Lots of us were from the UK and US, but many were also from Europe with a good representation from Downunder. More than half of us had sailed with Silversea before, often multiple times. Although no-one came close to the king of repeaters who, by the end of the cruise, reached the astonishing total of 2,150 days with Silversea. That’s some recommendation. 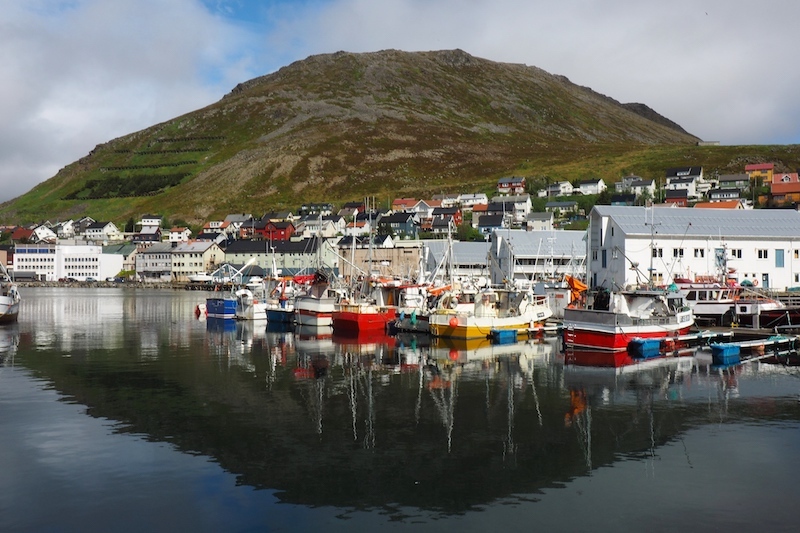 The itinerary was to take us into the Arctic Circle and 24-hour daylight territory, right up to the northernmost point of mainland Europe at North Cape. There was going to be ten ports of call and several days at sea before our return to Copenhagen, but the weather had other ideas. The cruise began with our call at the pretty little town of Flam, deep inside an offshoot of Norway’s longest fjord. It was classic fjord scenery: towering peaks on either side streaked with snow, the lower slopes forested, and the mirror-like water delighting the many photographers on board. Flam wasn’t just colourful and full of quaint Nordic souvenirs, but the departure point for a spectacular train journey, zigzagging up a steep valley streaked with waterfalls, through 20 tunnels dug by hand, to Myrdal at the top. Our sailaway that golden evening was gloriously beautiful, as we headed back out to sea – and, sadly, to worse weather. We had rain in Bergen, one of the wettest cities in the world, which gently dulled the beauty of its historic red and orange wooden buildings. Trondheim also began wet, but then the sun came out and lit up the curves of wooden warehouses along the river and its quaint old bridges. There was a big student buzz there too, adding a liveliness to this ancient city. From this point on, after being warned by the Captain that there was unseasonably bad weather on its way, we appreciated every gleam of sunshine we got, and we learned the value of everything the ship offers. The Lofoten Islands with its spectacular peaks blotted by low cloud, boasted soaring bridges that linked the islands. The cute little harbours crammed with chubby fishing boats and the inviting cobbled streets of the town of Svolvaer were delightful. When we reached Honningsvag, departure point for our coach trip to North Cape, fitful fog alternated with bright sunshine, so it was down to sheer luck whether we could see from the top of the 300 metre cliffs at the very tip of Europe. Sailing past the bottom of the Cape later that evening, everyone was treated to clear views of the spectacular wall of rock. North Cape seen from the sea. From here on, it was all about improvisation. The storm out in the Norwegian Sea involved strong winds and eight metre waves – no fun for anyone on board. So our Captain made the decision to stay safely tucked at the wharf in Tromso and miss three scheduled ports. That meant more days at sea later, to make it back to Copenhagen on schedule. 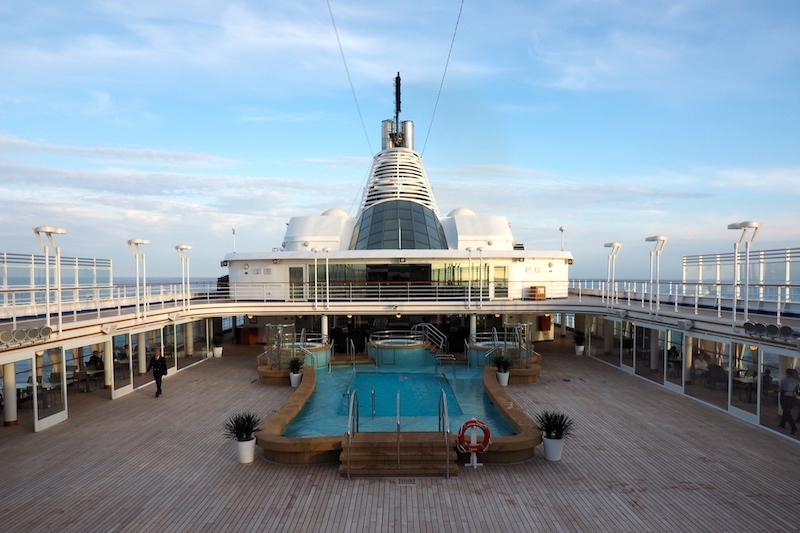 This is where the cruise director, the Silversea team, and the ship excelled. We had extra concerts, demonstrations, games, quizzes, lectures and performances. Music was everywhere, from opera to blues to pop. The spa was busy and so were the chefs. There were movies, there were dance classes. The time passed easily and although there was disappointment, we never stopped having fun, because we were so well looked after. The weather was just bad luck. On our last night, it was warm and calm, there was a party on the pool deck, people danced and drank toasts with their new friends, and everyone was sad the cruise was over. Already, it had become a story to tell. From a random “I could do that” epiphany in a free period when she was an English teacher, Pamela Wade has turned a passion into a career as a freelance travel writer that, while not much of a living, is a wonderful lifestyle. Sleeping in a swag beside a croc-infested river, staying in a 6-room suite overlooking Hong Kong harbour, being charged by a fur seal in the Antarctic, it’s all great story material and so much more entertaining than marking comprehension tests!